Wry neck, also known as torticollis, describes an atypical head tilt that causes the patient to demonstrate abnormal posture. There are several distinct indicators of the condition and some patients even experience uncomfortable symptoms due to their torticollis irregularity. Furthermore, there many may potential causes of a tilted neck and head, creating a diagnostic nightmare for some victims of the disorder, as well as their physicians. Some cases of torticollis are easily treatable, while others are therapy-defiant. Meanwhile, many cases resolve completely and organically, without any medical intervention whatsoever. This essay examines the causes, symptoms and varieties of torticollis neck tilts. We will also provide some recommendations for patients who are affected by this somewhat frightening neck posture abnormality. All cases of wry-affected neck syndrome involve atypical tilts of the head to one side or the other. This means that the head will not be evenly placed within the sagittal anatomical plane. Usually, the lower side of the head will also be drawn posteriorly, with the ear well past the centerline of the coronal plane. In turn, this twisting of the neck and head will cause the chin to protrude outwards and upwards on the side of the head that is higher. Some cases of torticollis are asymptomatic, in that they do not cause pain or neurological dysfunction. Other cases are uncomfortable and a few cases are moderately to severely painful. Regardless of the degree of discomfort presented, all cases will present unusual postural profiles and will be obvious to even the most casual observation. Some patients have extreme degrees of the condition and really have a difficult time functioning normally, due to their head being forced into such an awkward angle. Depending on the cause of the syndrome, and the severity, patients might experience some degree of pain, although this is not universal. However, tight neck muscles are virtually always present in the lower tilted side, most commonly affecting the sternocleidomastoid tissues. The first type of spasmodic wry neck involves the patient demonstrating a normal head posture most of the time and being stricken with sudden muscular contractions that cause the abnormal head tilt to be expressed. The second and far worse variety of spasmodic torticollis involves patients who already demonstrate significant atypical head tilts, but still suffer acute muscular contractions that worsen the condition, usually to extremely painful degrees. Congenital torticollis is relatively common and usually involves a structural or functional unilateral length deficiency in the sternocleidomastoid musculature. 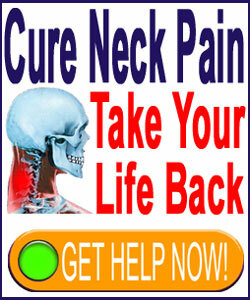 Neck injury can cause temporary or permanent wry-affected neck syndrome. Many birthing injuries, wherein a baby is forcibly removed from the mother by pulling on their head, are known contributors to torticollis. Tumor or growth formation on the sternocleidomastoid muscle, or on its innervating neurological tissues, can cause enduring wry-affected neck conditions. Some varieties of nerve compression might lead to head tilt syndrome. This compression can occur in the spine or might affect local neurological nerve tissues. Some inner ear infections can cause temporary torticollis. Some ocular nerve problems can contribute to wry-affected neck syndrome. Some types of pharmaceutical therapy are known to increase risk for the development of spontaneous wry-affected neck, often of the spasmodic variety. Some neuromuscular diseases can cause wry neck, as well as other scary symptomatic expressions. Finally, mindbody variants of torticollis also exist. In most of these circumstances, the patient’s sternocleidomastoid musculature is oxygen deprived by a psychogenic ischemia process. Other patients might also suffer ischemia of the neurological tissues that innervate the region, also enacting a pronounced head tilt. Ascertaining the underlying causation of wry-affected neck syndrome can be easy in some patients and extremely challenging in others. However, achieving an accurate diagnosis is the most important criteria in the entire treatment process. Conservative care might be able to provide symptomatic relief, or even full resolution of abnormal head tilt, depending on the source of the condition. Typically, the nonsurgical care practices utilized include physical therapy, neck exercises and stretches, injection therapies, acupuncture, massage, trigger point manipulation, chiropractic and pharmaceutical therapy. A minority of patients might require surgical intervention to treat the causative process and release the head from its atypical angle. Some lucky patients might recover completely without any professional healthcare therapy at all. To learn more about the causes and cures for wry neck syndrome, please consult with your physician.